Whoa! 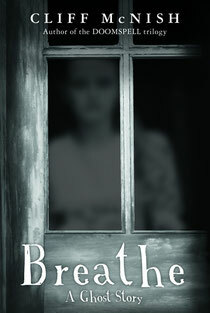 BREATHE has managed to win the American Virginia Readers’ Choice Award (chosen by the kids themselves). And I even got a gift – a pewter cup! First real bit of hardware I’ve won for a novel – normally you just a framed certificate or a ham sandwich or something, though I did win a pen once. I lost it, though. But it ran out of ink almost straightaway, so I kind of half-deliberately lost it. I’m using the pewter cup to store my pens. They keep falling out of it. I keep putting them back in. It’s an ongoing thing. Lovely to win this award so late actually, as BREATHE originally came out in 2008 in the USA. You do wonder what’s happening to your novels once they’ve been out a while (sometimes, like novelists themselves, they just expire, the last page waving goodbye to the last person who reads it, the hand gradually flapping slower and slower until with a wistful last flap of the fingers it it is gone), but I’m proud of BREATHE and it’s nice to see it’s still being read. Who are my readers? Originally they were 100% British. Now, if my website statistics are to be believed, they are 98% North American. Thanks to all my American readers for writing to me. It means a lot to me, really it does. I’m doing the Northern Children Book Festival (U.K.) again in November, which is great. I always like it. Talking to the kids and also a chance to visit my northern relatives. My mum and dad absconded from there in the 1960s, which was probably right because it's freezing up there. The average temperature in Sunderland, the city where I was born, is minus 27 degrees in midwinter. I’m just completing the second draft of my new teen fantasy novel, originally called ‘Aramanth’ but now called THE DRAGONBONE GATE. Why? Because there is a Dragonbone Gate in it. Yes, it’s that profoundly thought through. There’s a bit of a delay getting this one to print but the current timetable is January 2013. I’ll keep you updated on that and any visuals/previews. AND AFTER THAT ... probably another ghost story. I like the idea of a young child that dies accidentally while in the middle of playing a game, a game whose rules it has simply made up. But the rules are fairly elaborate. And now it’s dead, the child just wants to carry on playing. Trouble is, who’s there to play with? So it’ll have to get the living children out there to help it, won’t it? I love the idea of being forced to enter a game whose rules you do not understand but which have deadly consequences if you mess up. It's a bit of a feature of my novels, this one, thinking about it i.e. Games you are inadvertently drawn inside. Oh dear. Repeating myself again ... even so. And I enjoy the idea of a game you are supposed to win but actually what you want to do, what you have to do to survive, is to LOSE. Not sure how this idea will pan out... it’s getting mixed up with other ideas. Hopefully something solid will emerge from the crush. 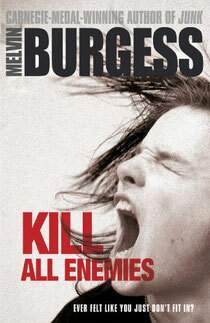 Good: Melvin Burgess’s latest teen novel KILL ALL ENEMIES is wonderfully engrossing. Bad: Justin Cronin’s THE PASSAGE. A hugely praised adult vampire book 1000 pages long, but at the end of the week it takes to read it you realise it is vacuous. So annoying. The characters become sentimental/silly and events ludicrous. Don’t read it. Read the Burgess instead. Anything else? Nope. Really? No, can’t think of anything. If I do I’ll slip it in later ... Ciao ..... and be good to each other.